We’re starting to get our first glimpse of the 2018 Outer Banks economic picture and the image that is emerging is of a growing and healthy economy. Tourism continues to increase, the real estate market is strong and the indications are that new construction continues to expand. It’s important to remember that this is based on statistical information and there are a number of variables that may affect the numbers. As an example, one of the numbers we look at for our tourism picture are Occupancy Tax Collections as reported by the Outer Banks Visitors Bureau. The numbers they report do not include increases in rental rates or any increase in the number of properties or rooms available for visitors. With that caveat in hand, we would also point out that by any standard, Occupancy Tax Collections have far outstripped the rate of inflation over the past 15 years. These statistics come from the Outer Banks Visitors Bureau and are for Dare County only. Currituck County also collects Occupancy and Meal Taxes but their reports have a considerable lag time. As noted earlier, all indications are that the Outer Banks tourism industry is healthy and growing. Although Hatteras Island lost two weeks of revenue because the company constructing the replacement bridge across Oregon Inlet severed the power line to Hatteras Island, Dare County collections still grew at an annual rate of 5.8%. The only glitch was a 4.5% decline in August—undoubtedly a reflection of the situation on Hatteras Island. Overall, the northern beaches outperformed Hatteras Island, although the power situation certainly affected that. Generally speaking rentals increase at about the same rate as inflation. There are a number of mitigating factors in that, but as a basis for understanding what’s happening, that is a good place to start. With that in mind, the increase in collections occur in two areas: stronger shoulder seasons and more properties or rooms available for rental. Both would seem to be the case. We know April and May in the spring and September and October in the fall have become increasingly important to the Outer Banks economy and the numbers bear that out. From 2016 to 2017 shoulder season occupancy increased by 13.5%. Visitation is harder to quantify because there is no one method to count visitors that everyone agrees is accurate. There is, however, some evidence that an increase in visitors is also occurring. Jockey’s Ridge State Park in Nags Head reported more than 1.5 million visitors last year, an increase of 18.8% over 2016, making it the most visited state park in North Carolina. We’re going to start this section with a reminder that nothing substitutes for working with someone with knowledge of the local market. There is a lot of nuance in any market and that’s where the experts at Outer Banks Blue become so important. The Outer Banks real estate and housing market is healthy. The exception seems to be commercial properties that do not seem to be keeping pace with residential sales, but other than that, there does not appear to be much of a downside in the market. A quick snapshot of the health of the real estate sales is Land Transfer Tax collections. Since every real estate transaction in Dare County carries a transfer tax, trends in the market can be tracked. A transfer tax is a percentage of a sale and has nothing to do with the number of sales that are happening; nonetheless, if over time, there is a steady increase in collections, it’s a very good indicator that the market is expanding. 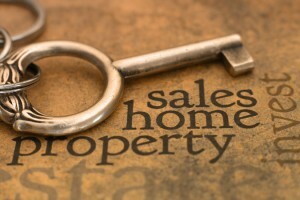 One of the trends that does seem to be emerging is a shift from a buyer’s market to a seller’s market. It’s never all one way or another, but there are some indicators that point to the change. In 2011 the average number of days on the market after a property was listed was 238; through February of this year, the average number of has been 152. The number of units sold is also an indicator. In 2011 1075 units were sold; in 2017, which gives us a full year for comparison there were 1544 units sold, a 43.6% increase. The increase in the number of units sold and coupled with a decrease in days on the market is consistent with investors looking to take advantage of a growing visitation market. Not everyone is purchasing a property for rental, but an increase in Occupancy Tax collections coupled with indications of an increase in the number of visitors coming to the Outer Banks seems to point to more investors looking to Outer Banks property management opportunities. There is a significant amount of new home construction on the Outer Banks, and early indications are that it will continue. For the year 2017 there was a small decrease in the number of building permits issued. That trend seems to have reversed itself through February. Building permits are very much in the raw data category. Permits are sometimes issued but construction never takes place. The number of permits also does not say what the permits are issued for. Nonetheless, there is some interesting information that can be taken from the initial reports. The number of permits issued through February is up a modest 2.6%, but what is significant is the average permit value has increased by 11.5%. That is a clear signal that that larger, more complex projects are being planned, and a part of that would be new home construction. That means the Outer Banks tourism market will continue to expand. It also means that, for existing rental property owners, a competitive market is going to stay competitive and may become even a bit more competitive. Which brings us to another important point to consider. Summer is coming; properties should look as good as possible with any improvements done as soon as they can be made. However, looking at the trends in construction, it is apparent that contractors and builders are very busy right now. There is going to be lead time in getting any work done. Schedule the work as soon as possible.